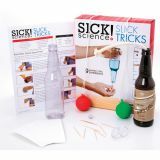 When you want experiments that will really tickle your mind, you're looking for the Brain Tickling Science kit. 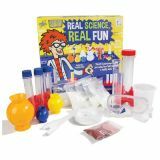 Whether you're launching rings of fog, making a quicksand clock, or defying gravity with anti-gravity beads, you'll experience and engage with fantastic hands-on science in fun and creative ways. 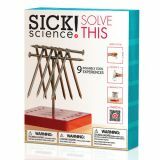 Your mind will be tingling with all of the awesome experiments and activities you'll learn with Brain Tickling Science. 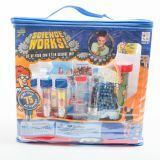 Science Works has been designed to peak a child's curiosity for the world around them. 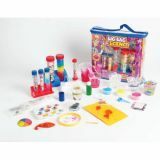 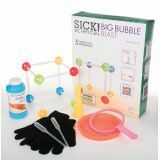 This kit will encourage kids to wonder, discover and explore in a way that will get the science to the dinner table. 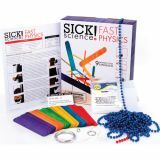 Our goal is to teach kids how to be amazing as they show their friends and family what they've learned. 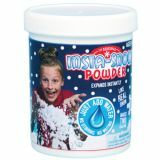 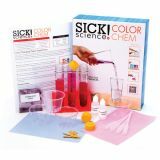 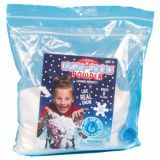 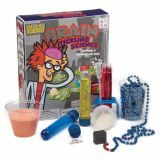 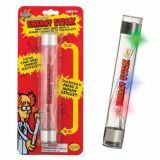 From a 20 foot string of beads that uses defies gravity to flow up hill to bubbling concoctions Science Works covers concepts including Acid & Bases, Density, Force & Motion, Solids, Liquids, Gases, and more in one amazing kit.